We are dedicated to bringing the best theatrical experiences to you every year. However, we cannot do this without your support. Please consider becoming a Sustaining Member ($100) of KCP or an Angel ($500) to support our future seasons, or renewing your membership at that level. You will not only help us maintain the artistic excellence we strive for with every production, you’ll receive a $5 discount on your ticket to ANY performance for the season, acknowledgement in the program, and you will be seated first when the house is opened. Please consider joining our family! 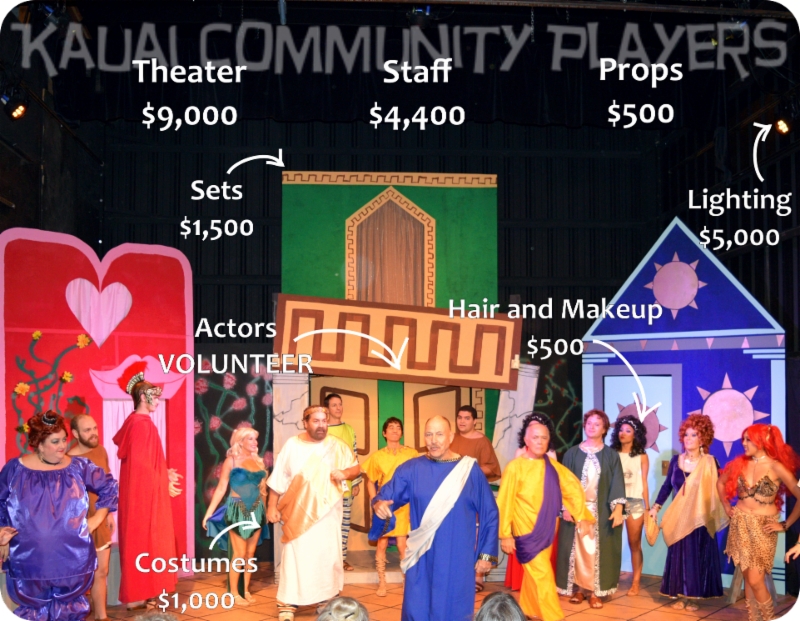 Your tax deductible contribution will help provide the financial support needed to keep Kauai Community Players alive and performing.